Forex or Currency Exchange is often a profitable business model. with CryptoEx it is easy to start your own Currency Exchange Website. While many people spend their lives conducting day-to-day business using only one type of currency, there are times when exchange services may be required. Currency exchange service is one of the modern day business model that servers and helps to ensure transactions flow seamlessly when the need for currency exchanges or transfers arises. People will find can help them send money to friends, family and others in different countries. using currency exchange service. By setting up a good website and fully functional exchange software, you can become the reputable exchange provider, you can rest assured they’ll receive the most competitive exchange rates. This, in turn, can ensure those on the receiving end of the transfer get the greatest value from the money spent. While service fees may apply, the rate of exchange will be the highest possible to benefit the sender and the recipient once the electronic money transfer is complete. may eventually result in a strong return on investment. This is similar to buying stocks on the stock market. The forex market, as it is called, is a popular investment tool as currencies, much like stocks, tends to rise and fall in value with a high degree of frequency. 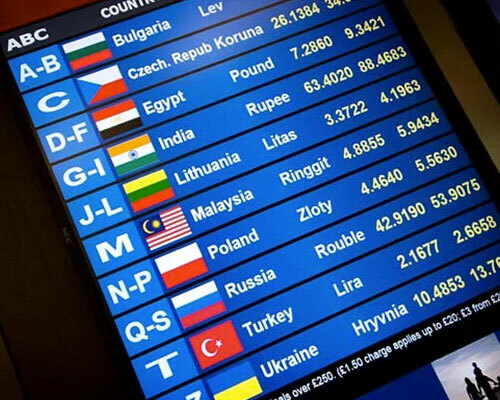 When a trip out of country is planned, it is not uncommon for people to want to have some currency in hand for the journey. Working with a currency exchange in advance can simplify the process and ensure the highest exchange rate to ready for the trip. If you are in Travel Industry Business, then setting up your own Exchange Services Website is a Value add-on service. Starting your own Currency Exchange Service is become easy with our pre-built software “CryptoEX”, just buy the software. Install it in your server and you are ready to go.